and building supplies and is now open for business. 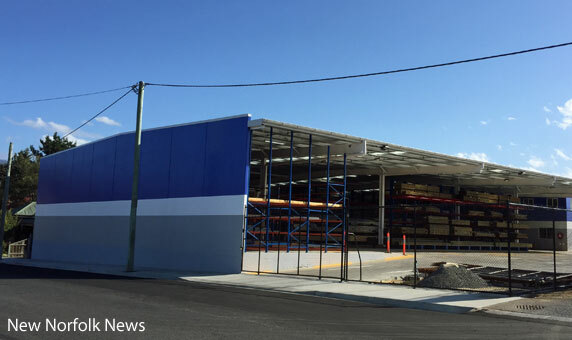 THE timber and building supplies section of New Norfolk's new Mitre 10 store has had a quiet opening while work continues on the hardware section of the new building. 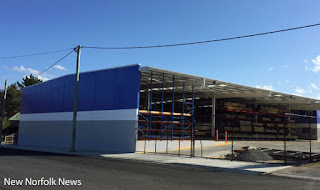 Temporarily located at 4 Back River Rd for the last year, the building supplies business was previously housed in an old factory which was demolished last April to make way for the big new store which stretches from Charles St to Stephen St. While work continues on completing the Charles St end of the new store, customers can now access the drive-through undercover trade centre via the Stephen St entrance. The Back River Rd yard is now closed.